We often mention pinball when there is something new in the area but when it comes to more mainstream gaming sites, they don’t really pay much attention to pinball unless it’s a virtual package that can show up in their mailbox. Real pinball is one of those things you have to leave the house for and seek out, do a little research on. This article at Destructoid.com gets into “The Joy of Pinball”. On that particular subject I’ll let it speak for itself for the most part as the author lays out why he likes pinball so much. But of course this gives me an opportunity to ramble on about the subject once again, so here we go. I think that for most of us that play, it’s the physical nature of the game, the design and unexpected twists each game can bring. 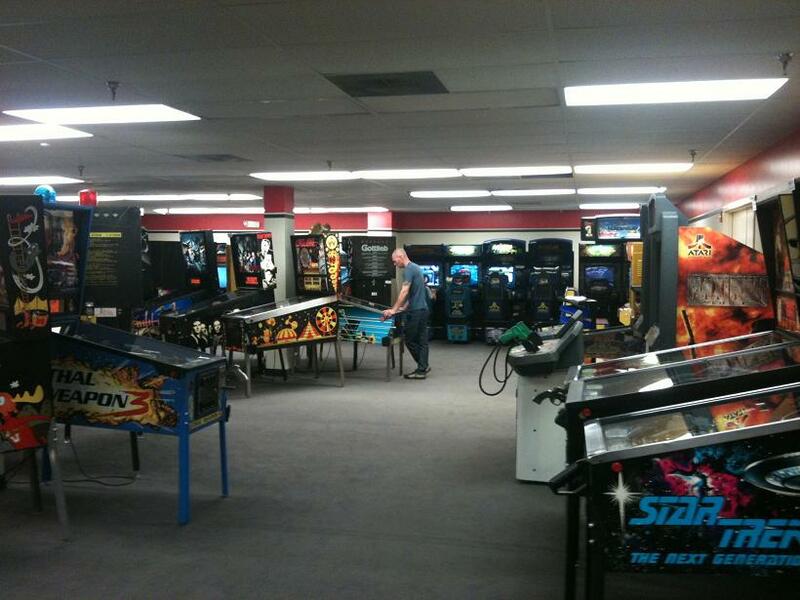 I would just add that the solution to keeping pinball alive is to go out and play. It’s no different than the arcade scene really – if you want it to stick around, support local businesses that offer such things. If they make enough money off a machine to pay it off and then some, they can buy more. If one machine in particular does really well, that’s the loudest indicator to an operator that there is reason to buy such machines in the first place. The more arcade/pinball machines that sell because of this, the more that will be made. I don’t think the pinball scene is dying necessarily – of course it’s still nowhere near what it was like in the 90s but Stern has managed to keep cranking out machines every year and now that there will be competition in this area beginning in March, the next couple of years while Stern and Jersey Jack duke it out should be exciting. The more games that will be made with a creative edge, the more appeal they will have to players and operators out there. There is no reason pinball can’t bounce back to sales it used to see, they just need to make innovative games that will appeal to people and market them properly so the public knows about them. One might say that the licenses bring instant appeal but they can be a trap as well if the appeal is niche. Personally I can’t say I care for AC/DC very much, I cared even less for The Rolling Stones. When they offer something new or different in the game itself (as was the case with Rolling Stones LE) that’s when I pay some attention but I would personally be more enticed by a pinball that used rock as the overall theme and music from various bands as opposed to the focus being on one band. Plenty of pinball games in the past used an overall theme as opposed to a focused license to great effect, games that people still enjoy today (as the Destructoid article gets into). But that’s just me – I know that there are some players who are fans of both pinball and a particular license, and when they see the license they enjoy, they become buyers. I admit that TRON Pinball was enticing to me for that very reason. But we’ve been seeing nothing but licensed games for a decade now and that hasn’t reproduced The Addams Family effect since so I believe that a license has become overrated as it has become overused. The license aspect is slightly different for arcades – an argument that could be made is the license gives the game instant appeal. There’s no denying it does help in that regard, such as we saw with Terminator Salvation (a game which at my arcade still does really well week-in, week-out). But I think when you begin to rely on nothing more than a license to get by, falling into a rut is much easier because the license makes it safe for creativity. Pinball is an example of this as it’s only recently with the potential for competition that we’re starting to see some complex tables come along again. Arcades have been shielded by that to some degree as we have not seen exclusive focus on licenses, instead we’ve seen that focus fall upon genres, where we have our shelters. I think that when it comes to breaking out of such shelters, licenses can be very useful – it makes it easier to approach a new concept when there is a familiar name attached to it. Years ago that wouldn’t have been the case but as our culture is these days, I think it has become a bit more difficult to present new ideas and concepts that become big money makers, albeit not impossible. It’s an interesting balance as I think about it – with a license it can help the unfamiliar become easier to swallow, without it you need to generally create something that is more intuitive to begin with so as to not scare away the easy minded gamer who gives up after a couple of short attempts. Or it can be used to re-enforce a concept that is already familiar and make it more appealing in some cases. Anyhow, that’s enough rambling on the subject for today. What are your thoughts?